The nation’s top weather forecaster is a twenty-year veteran of the National Weather Service (NWS) who has forecast the weather in such diverse climes as Alaska, Hawai’i and North Carolina. Laura K. Furgione is the National Oceanic and Atmospheric Administration (NOAA) Acting Assistant Administrator for Weather Services and Acting Director of NWS. As such, she is responsible for day-to-day civilian weather operations for the U.S., its territories, adjacent waters and ocean areas. Born circa 1971, Laura (Eikermann) Furgione graduated from Bourbon High School in Bourbon, Missouri, a small town (pop. : 1,632) about 70 miles southwest of St. Louis, in 1989. She earned a B.S. in Atmospheric Science from the University of Missouri at Columbia in 1993 and an MPA at the University of Alaska-Southeast in 2004. Furgione worked her way through college as an usher for MU Athletics, at the Office of the Dean of the College of Agriculture, Food and Natural Resources, and at a small NWS office at the Columbia Regional Airport. She landed a summer internship between her junior and senior years at the NWS station in Honolulu, Hawai’i, which she said gave her “insight on how to get a position with the National Weather Service.” In fact, Furgione got a job offer from NWS by March 1993, two months before graduation, which “made finals a lot less stressful,” Furgione readily admits. Her first NWS position was as a meteorological intern in Kodiak, Alaska, where she joined the Coast Guard Auxiliary to learn more about the ocean and met her future husband, Tim Furgione. After one year at Kodiak and another one-year internship at the NWS office in Fairbanks, Furgione became an aviation meteorologist at the Alaska Aviation Weather Unit in Anchorage. She stayed for three years, from 1995 to 1998. After 15 months in North Carolina, Furgione returned to Alaska in 2000 as the meteorologist in charge of the NWS Juneau Weather Forecast Office, and began her Master of Public Administration (MPA) program at the University of Alaska-Southeast, which she completed in 2004. In August 2002, Furgione moved to Anchorage to become the deputy regional director, and two years later became regional director, with responsibility for 20 offices throughout the state, a position she held from October 2004 to August 2008. She made the big move to the Washington, DC, area to serve as assistant administrator for the NOAA Office of Program Planning and Integration beginning September 2008. In July 2010, she was named deputy director of NWS and deputy assistant administrator for Weather Services NOAA. 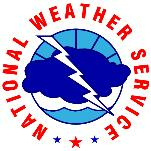 On May 29, 2012, she was named acting director of NWS. Laura Furgione and her husband, Tim, have twins born in October 2004. She has had an active HAM Radio license since March 2010.